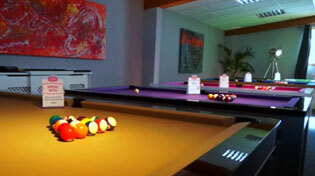 Home Leisure Direct is proud to carry a huge range of English 8 ball pool cues. All English pool cues feature a brass ferrule and leather tips suitable for playing English Pool. We supply English pool cues in 1-piece, 2-piece and 3/4 jointed configurations, to fit your needs. 1-piece English 8 ball pool cues are made from a single solid piece of wood, making them more stable, but are more awkward to transport. Conversely, 2-piece and 3/4 jointed English 8 ball pool cues are more easily packed away into a case for protection. Home Leisure Direct carries a number of recognised English pool cue brands, including Britannia, Buffalo, Cannon, Peradon, and even a selection of short English pool cues.